(Hackensack, NJ) Written by Robert Sutton. 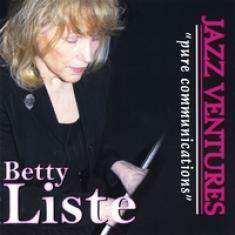 Even when her guest vocalist Bill Robinson isn't singing, pianist Betty Liste speaks through the sound of her fingers on her new album, Jazz Ventures (Pure Communications). Each note played is a message from her heart; every melody is a part of her soul. As a lifelong jazz fan, Liste knows these compositions as if they were her own offspring. She knows how to make them breathe new life, how to make them swing. Although Jazz Ventures is only her second album, Liste has been working professionally as a jazz pianist since 1978, when she debuted at two renowned New Jersey outlets, Gulliver's and Three Sisters. She started performing in New York City shortly thereafter. 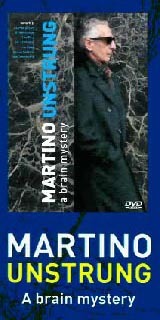 She eventually became a regular at Stony Hill Inn in Hackensack, NJ and released her first CD, Pensive Moments, in 2006. Like Pensive Moments, Jazz Ventures is a collection of American pop classics and jazz standards, and they're played with the eagle-eye precision and breathtaking creativity of a master of the craft. Listening to Liste's spirited performance on "East of the Sun" is like swallowing fresh air; her swinging grooves reach into the lungs and blow away everything toxic inside. From the beginning, Liste has already accomplished her mission: To lift the weight from our shoulders and make us feel good. "I Fall in Love Too Easily" is enveloped by a rush of unguarded emotion as Liste hits the peak of romance. Her playing hits the sweetest tones; no words are needed to hear what Liste is trying to get across here. When Robinson does make his presence known, the chemistry between his rich, soulful croon and Liste's crackling piano provides spellbinding entertainment. On "Our Day Will Come," Liste sounds particularly inspired; she is firing on all cylinders, capturing the song's expectations of love fulfilled. Robinson, in contrast, remains cool, letting the lyrics pour from his mouth in an easygoing manner. The opposite ends of their moods echo the yin and yang of love. Liste and Robinson are both giddy on their version of "Night and Day"; while their smiles can't be seen, they certainly can be heard. And smiles are what Jazz Ventures is all about. With just her piano, Liste is able to take us away from the drudgery of everyday existence and hand us back to life with a smile on our faces.